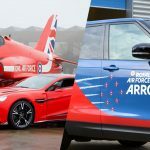 Three Bury St Edmunds businesses have worked together to bring new life to an iconic car. Coastline love working with local companies so when the opportunity to be involved with this project for Bury St Edmunds based brewery Greene King came up we were all thrilled. 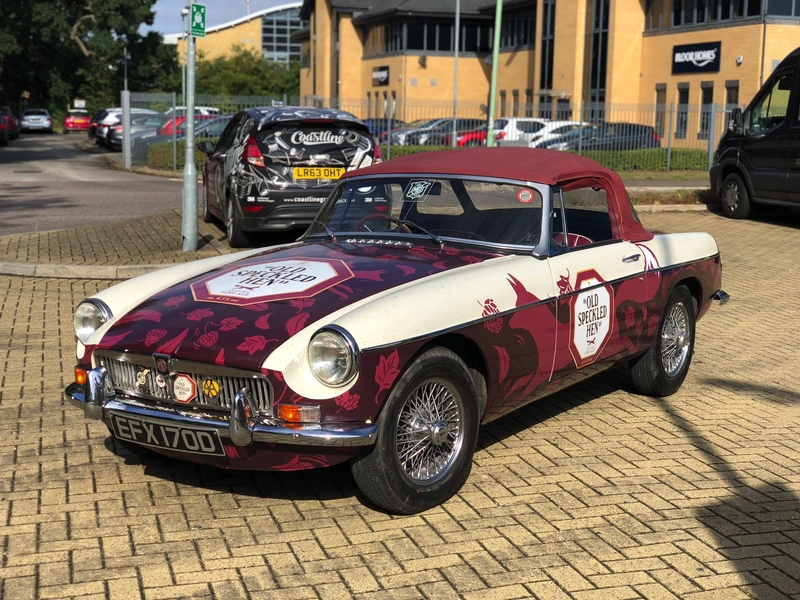 The brief was simple, design, print and install a full vehicle wrap to the Iconic MG Roadster for the Old Speckled Hen brand. 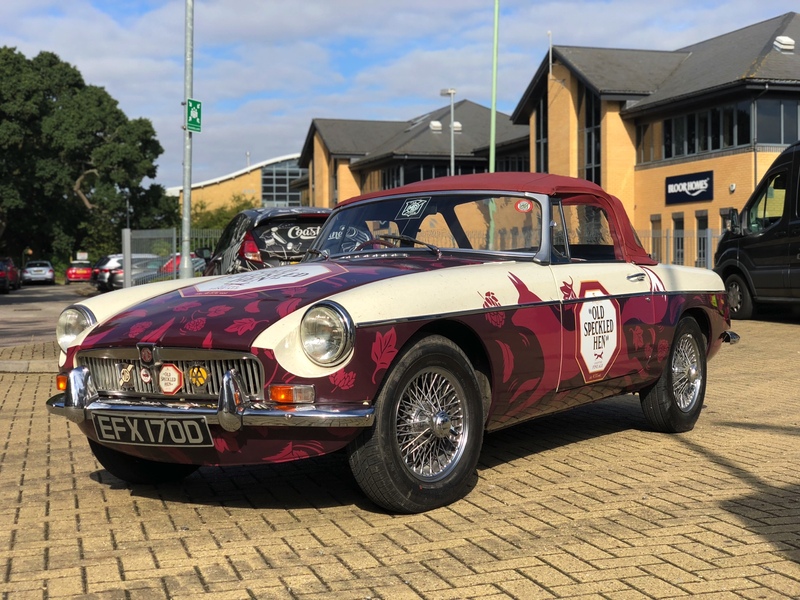 Motor company MG and Old Speckled Hen have historic links dating back nearly 40 years so it was vitally important the new wrap reflected both the new brand whilst nodding back to tradition. Our designers created the concept you see here which has been extremely well received. 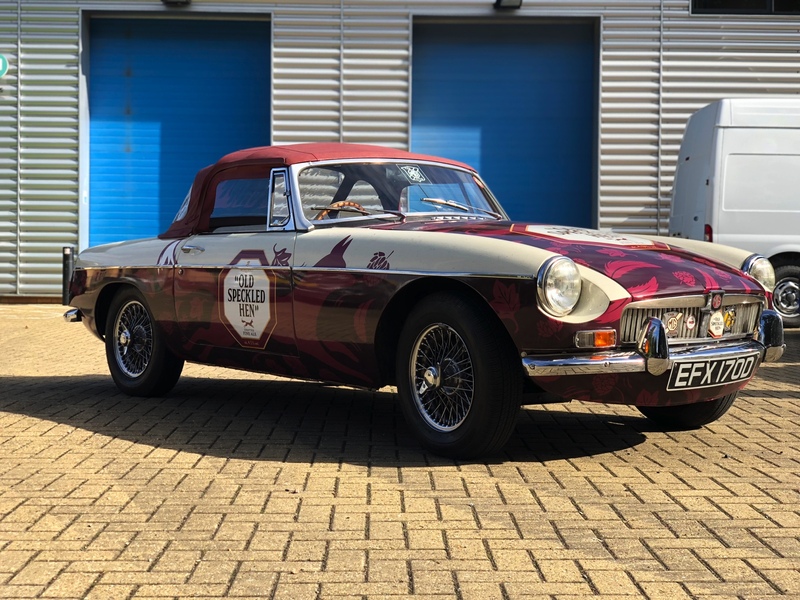 Utilising our high quality printers to produce this ‘two tone’ style design we completely wrapped the little MG and transformed it into the brand ambassador it is now used as. 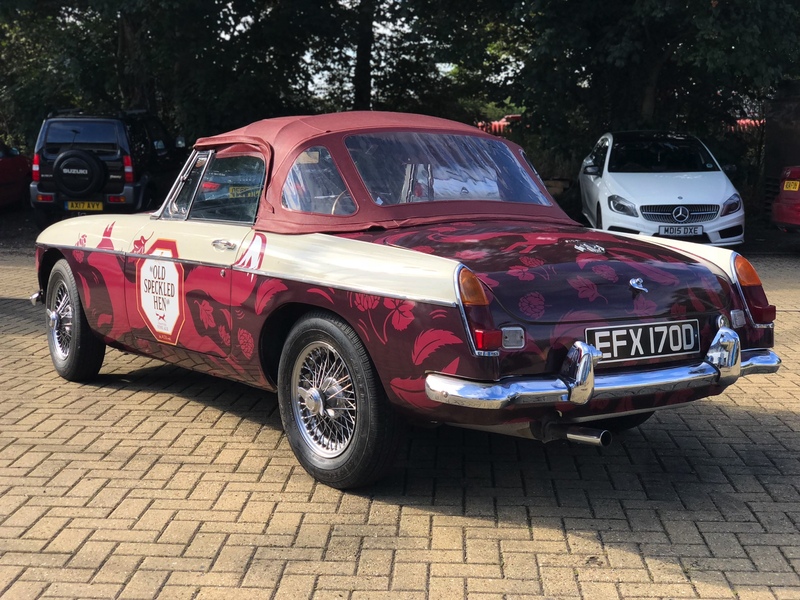 The famous Old Speckled Hen MG motor car, which is owned by Greene King, has been transformed with new paint work by Premier Bodyworks and subsequently re-wrapped with new artwork by Coastline Graphics. 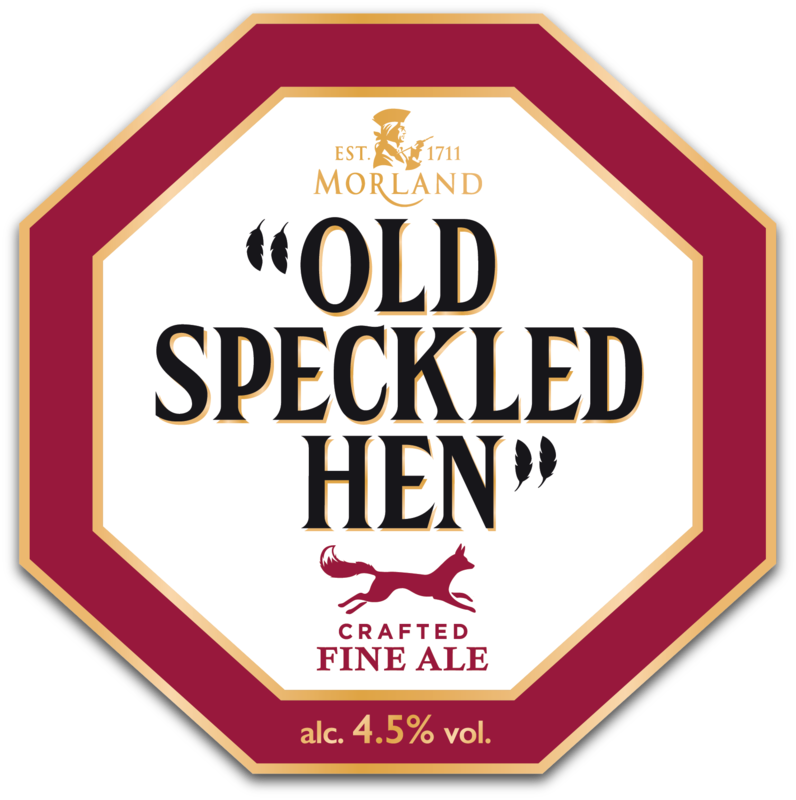 Premium ale brand, Old Speckled Hen was first brewed in 1979 as a commemorative beer for MG Motor Company. 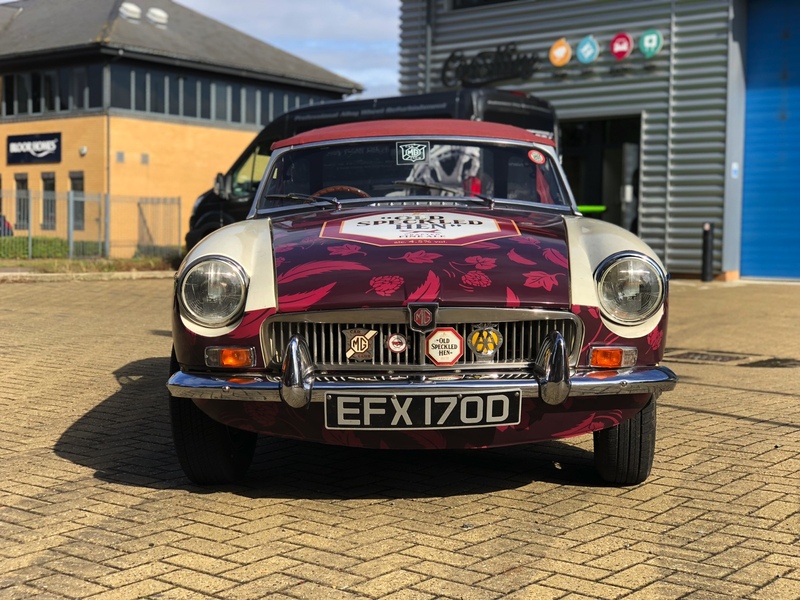 The name ‘Old Speckled Hen’ was chosen in honour of the paint-spattered run-around car in the MG factory, fondly referred to as the “Owld Speckl’d Un”. Today, the Old Speckled Hen MG spends its life on the road touring the UK visiting festivals with Greene King’s events team. To keep it in tip top condition the car has been lovingly restored to its former glory with paintwork and artwork to match the beer brand. 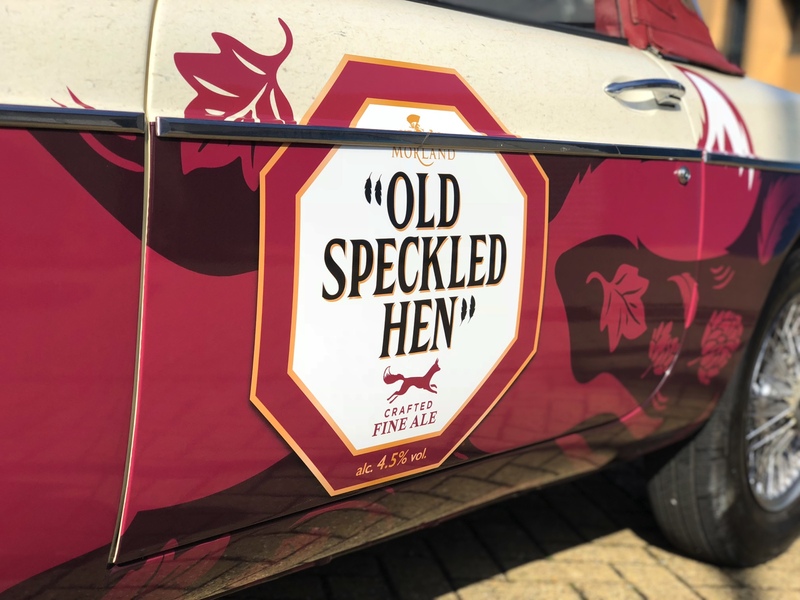 Speaking about the refurbishment Nick Dawson of Premier Bodyworks said: “Premier Bodyworks have always worked closely with Greene King and to be asked to re-spray the iconic ‘Old Speckled Hen MG’ was a great honour.